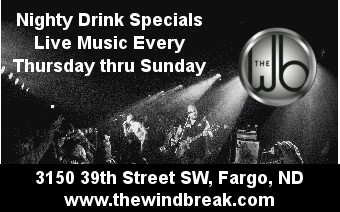 FargoBands.Com was started in 2003 as a website to help you, the fan of local live music, find information on the local bands in the Fargo-Moorhead area. Owned and maintained by Jeff Mertes of Tessera Graphics, FargoBands grew from only a few 100 people a month looking at the website to over 7,000 today, making FargoBands the premier live music site of the Fargo-Moorhead area and the upper Midwest. Viewed by people all over the area, it is simply the best! Jeff has been a friend musicians and a fan of live music for over 15 years in the Fargo-Moorhead area and been involved in web site design for both The Plowboyz and The Rooster's. Jeff feels that this is just an extension of that love he has for live bands and has always felt the need for a web site that fans of live music could go to find out what they wanted to know. With the Internet running out of descent names for bands to use, the name FargoBands.Com will be easier for you to remember and get to your favorite bands web site. He hopes you enjoy this site and he always looking for input on what this site may need. Just contact him, Click Here.